Morgan rolled out a special-edition Plus 4, too. Big changes are afoot for Morgan – an automaker more accustomed to doing things the way it has for the past century-. It at the Geneva Motor Show this week, ushering in a new platform and turbocharged engine. Now it's announced a change in ownership, too. Once the ink is dry, the Morgan Motor Company will be owned in majority by – the same Italian firm that (with 37.5%) is the largest stakeholder in Aston Martin Lagonda, and which previously owned Ducati (before selling it to Volkswagen). That can only be good news for the small, cottage-industry automaker that still builds its wood frames (and much of the rest of its cars) by hand out of a workshop at Malvern Link in the British Midlands. 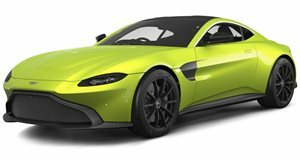 The investment stands to bring a fresh injection of cash into Morgan's coffers, and maybe – just maybe – bring it closer to Aston Martin (located just over an hour away in Gaydon) under Investindustrial's portfolio. Along with the announced change in ownership and the reveal of the new Plus Six, Morgan also revealed the new Plus 4 110 Works Edition (pictured). The latest model to is based on the four-cylinder, four-wheeled roadster, but has been optimized by the company's design and racing divisions with special touches like satin trim (on the hood, competition-derived alloys, dashboard, and A-pillars), stickier tires, yellow bake calipers, hood-side air scoop, sports exhaust, and remapped ECU. The 2.0-liter Ford straight-four is mated to a five-speed Mazda gearbox and produces 180 horsepower. Only 50 examples – available worldwide in either right- or left-hand drive – in either light silver or grayish green, with an upgraded black leather interior, starting at £64,995 (or about $85k).